By Andrew J. Sherman, Esq. The quality of an entrepreneurial company’s executive and management team and the staff selected by that team are critical to your growing company’s long term success and to meeting growth objectives. But who can the senior management team typically turn to for advice and guidance? Who provides the general policy and direction to the company’s executives around which a specific growth plan is built and executed? For most growing companies, the answer is two fold: (a) a formal Board of Directors and (b) an informal Advisory Board (or series of advisory boards for specific purposes). On the other hand, an Advisory Board is not required or governed by state corporate laws, does not owe the same levels of fiduciary duties to the shareholders (and hence cannot generally be held as responsible for their acts or recommendations) and can be much more informal with regard to the number of meetings and agendas for meetings. The Advisory Board can be assembled for general purposes or a series of Advisory Boards could be set up for very specific purposes, such as technical review, marketing strategy, recruitment and compensation, or research and development. An Advisory Board can also be an excellent way to get a second opinion on certain matters without interrupting existing relationships. Leaders of growing companies will often set up an Advisory Board in connection with the capital formation process in order to demonstrate to prospective investors in the Business Plan that the officers of the company has access to a credible and objective source of advice and contacts, without filling up precious Board of Director seats. The Board of Directors seats are usually initially set aside for co-founders and investors and many prospective Advisory Board members may be reluctant to accept the responsibility that comes with a board of director seat, especially at the outset of the relationship. Of course, the “showcase value” of putting a bunch of names that barely know you and who will never show up for any meetings dilutes the value of the credibility that you sought to establish when appointing the Board of Advisors. Prospective investors will put varying weights on the strength and composition of the Board of Advisors in making their final investment decisions and will often want direct access to the Advisory Board members as part of their due diligence process and to ascertain the depth of their commitment. One critical difference between a Board of Directors and an Advisory Board is the management’s ability to accept or ignore the recommendations of any Advisory Board, a worry they do not have when a mandate comes down from the Board of Directors. Also, because members of the Advisory Board do not owe the same duties to the company and its shareholders, they can be used on mediating disputes by and among the officers or and between the officers and the directors. They can also be used in identifying potential board of director candidates or be a recruiting ground for eventual seats on the board. Since the rules governing the Board of Advisors are not set forth in a corporate law statute, it is critical to be very clear as to your expectations of each Advisory Board member as well as to how they will be compensated for their efforts. The best way to capture these objectives and rewards is to prepare an Advisory Board Member. In the early stages of the company’s development, the rewards to Advisory Board members should be structured in a fashion that encourages a long-term commitment and provide for being a proactive, not merely a reactive, contributor to the company’s growth plans. Andrew J. Sherman is a Partner in the Washington, D.C. office of Jones Day, with over 2,500 attorneys worldwide. Mr. Sherman is a recognized international authority on the legal and strategic issues affecting small and growing companies. 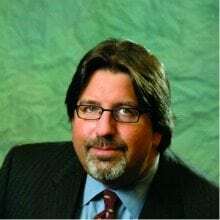 Mr. Sherman is an Adjunct Professor in the Masters of Business Administration (MBA) program at the University of Maryland and Georgetown University where he has taught courses on business growth, capital formation and entrepreneurship for over twenty-three (23) years. Mr. Sherman is the author of twenty-one (21) books on the legal and strategic aspects of business growth and capital formation. His eighteenth (18th) book, Road Rules Be the Truck. Not the Squirrel. (http://www.bethetruck.com) is an inspirational book which was published in the Fall of 2008. Mr. Sherman can be reached at 202-879-3686 or e-mail ajsherman@jonesday.com.